You gotta admit, the name Rocket Bunny sticks in the ol’ memory banks. 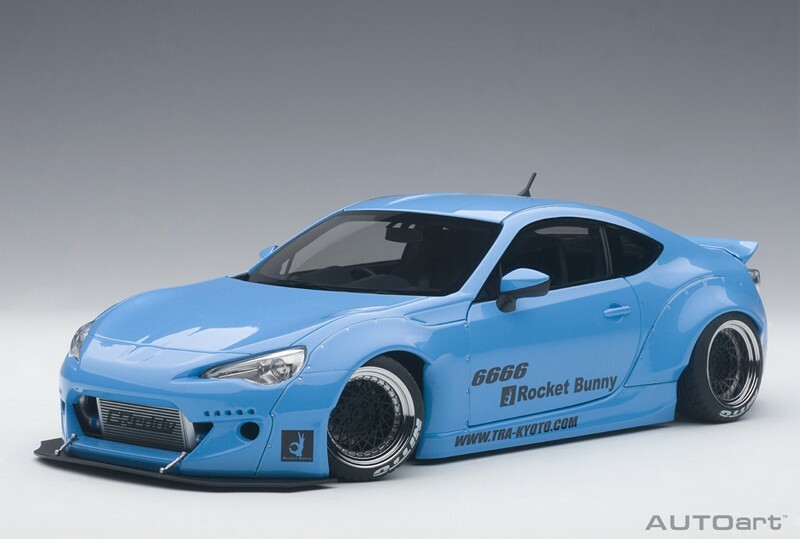 So when I saw Autoart has a new 1:18-scale model of the Toyota 86 in Rocket Bunny trim, well, I requested one to see just what a Rocket Bunny Toyota looked like. What is a Rocket Bunny? You may be asking. 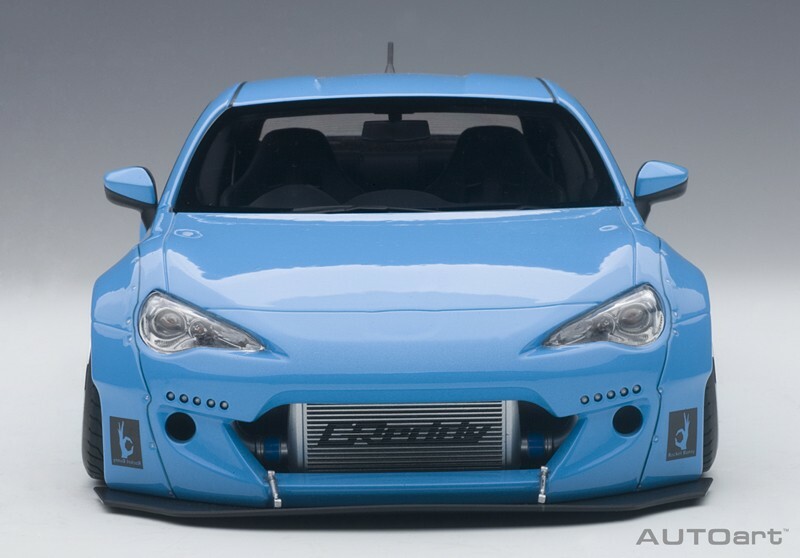 Well, if you’re not a tuner car guy or under age 40, this aftermarket aero kit maker may not be on your radar. It should be though because Rocket Bunny / Pandem Aero Kits is waking up the custom car look for Drift-style boy-toy street racers. These are sold in the U.S. via GReddy Performance Products that makes everything from special high-perf exhaust systems to electronics, engine parts and brake and suspension pieces to tweak performance. The cool panels added to the Toyota 86 give it a more muscular look with bigger wheel well flares and racy nose and tail treatments.